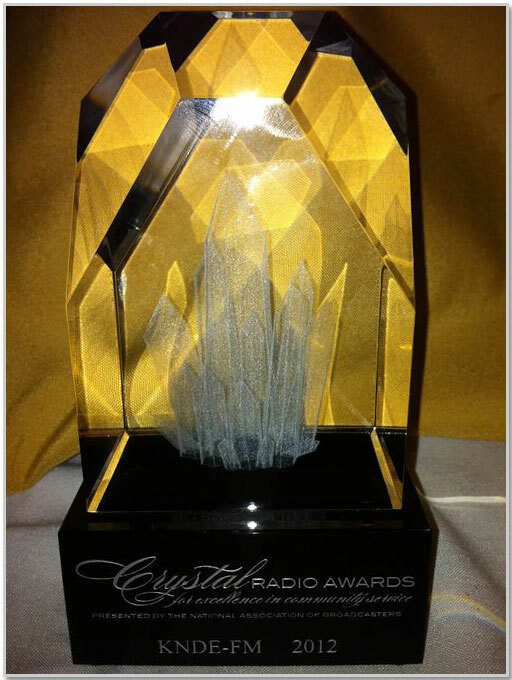 Congrats to the staff of KNDE-FM Bryan-College Station for winning a 2012 Crystal Award! The National Association of Broadcasters presents ten awards each year. 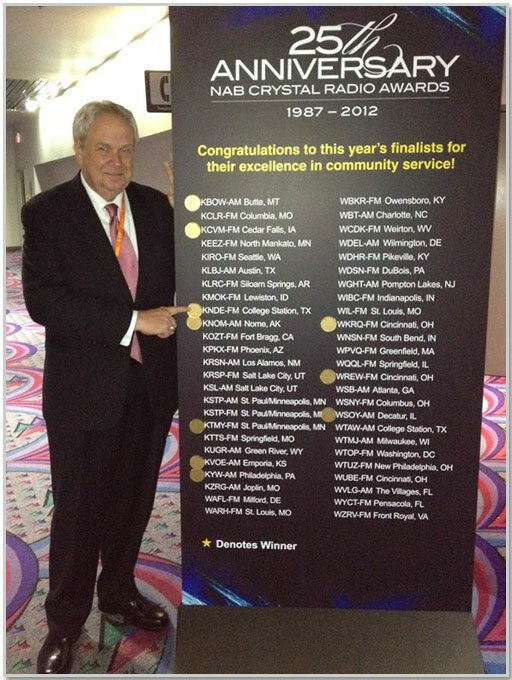 Since 1987, the National Association of Broadcasters' Crystal Radio Awards have recognized radio stations for their outstanding year-round commitment to community service. Previous Texas winners include KLVI Beaumont (2006) and KLBJ Austin (1994). KNDE-FM and nine other stations were chosen from among 50 finalists. NAB presented the awards on Tuesday, April 17 at the Radio Luncheon in Las Vegas. Pictured: Ben Downs, GM of Bryan Broadcasting, after the Crystal Award ceremony.